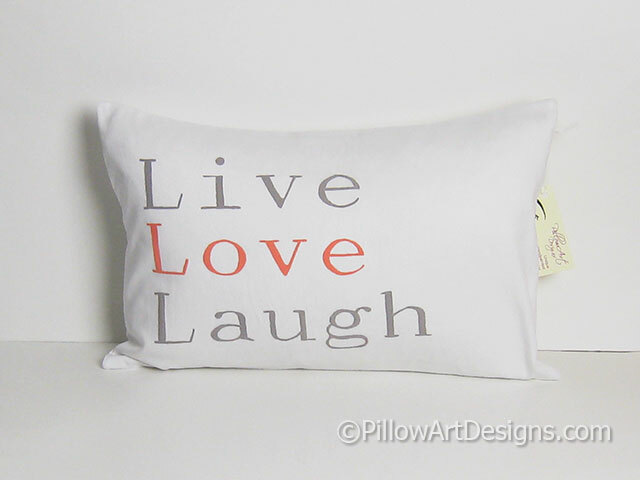 Three words to inspire you everyday "Live Love Laugh", hand painted on the front of this pillow cover. 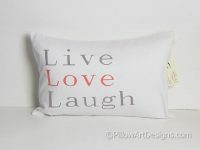 The words Live and Laugh are hand painted in taupe grey and the word Love is painted in soft rosy peach. Cover is made to fit an insert 12" X 18" (30.5cm X 45.7 cm). 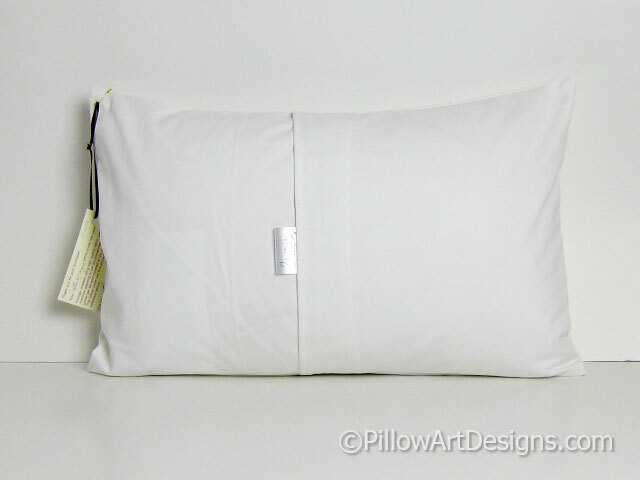 Please contact me if you wish to include the down feather insert with your cover. Price is an additional $10.00 plus shipping to your location. 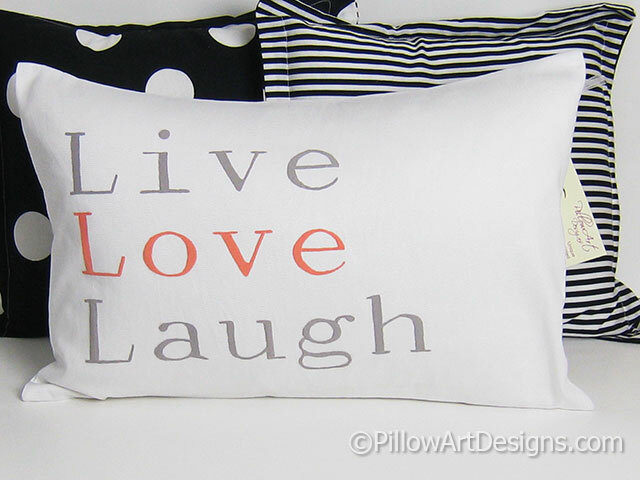 High quality fabric paints used, will not wash off, flake or rub off.